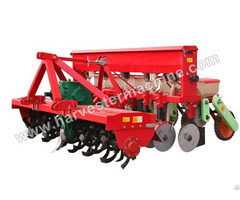 Double-disc wheat seeder is a multifunctional planter, which completes leveling the land, ditching, sowing, fertilizing, covering soil and ridging in one operation. 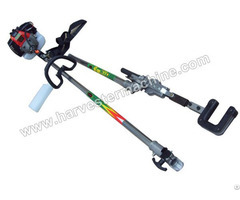 Connected with four-wheel tractor through three-point linkage, it is applicable for wheat drilling in plain, hills and mountain areas. 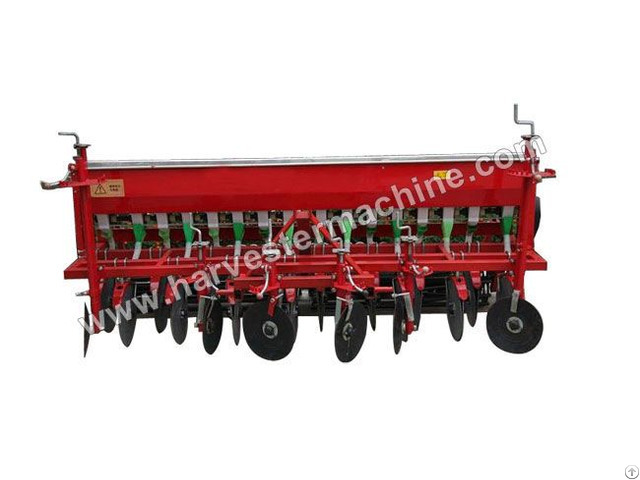 It has become the dedicated machine for wheat planting due to its good performance, safe operation and low miss-seeding rate. We have various models for your choice.